I’ve been working on some shop listings at Happy Corner General Store, and came across this beauty. Oh, the memories this brings back! You see, though I’ve been selling vintage for only three years or so, I’ve been a thrifter and vintage lover forever. And the print on this sheet I’m listing? Well, we’ve met before. 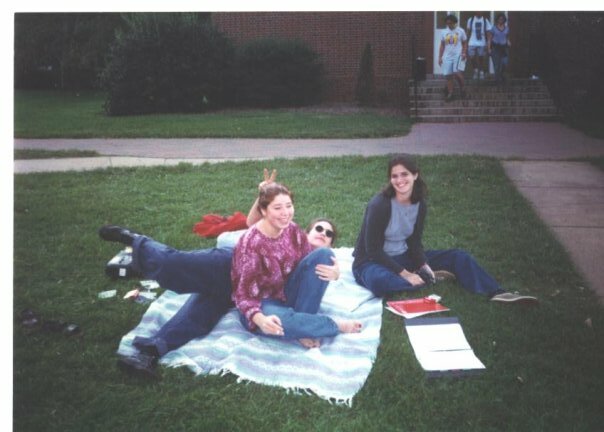 Long, long ago, I came home from college on summer break, accompanied by my roommate Julia from North Carolina. 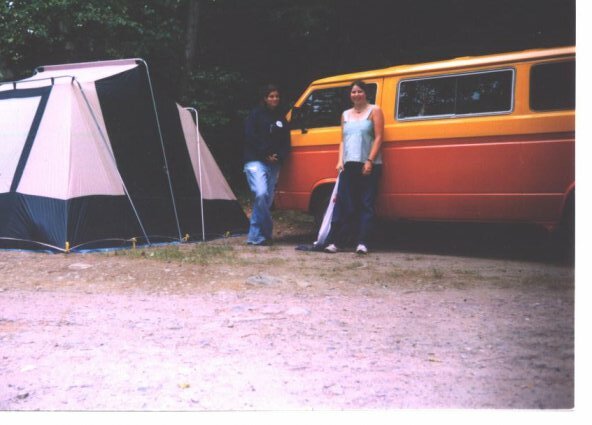 I was full-on in the throes of my vintage/hippie obsession, restoring an old VW Vanagon in my driveway, wearing my long hair loose and wild, and haunting yard sales and Lions Club auctions. On one memorable Saturday morning, my folks and Julia and I stopped at a yard sale (which I still remember was just down the road from my friend Aaron’s father’s house–funny how your head works, huh?) at which I scored, most memorably, several Fleetwood Mac and Crosby, Stills and Nash cassette tapes to play in the bus, and the most gorgeous old sheet I’d ever seen. THIS old sheet. That called to me in such a way as to make it impossible for me to leave that yard without it. My parents and Julia looked at me quizzically. What the heck did I want with someone’s old sheet? I had no idea. I just knew I had to have it. 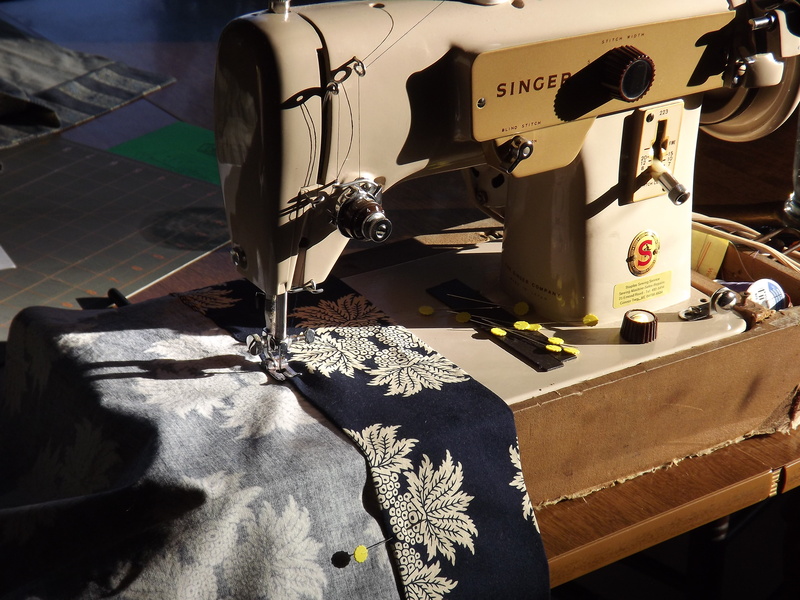 I hauled this sheet back to college with me, along with the vintage singer sewing machine I had found for $25 (almost identical to this one, which I use now), and soon set about turning it into the longest, clumsiest, A-line hippie skirt on record. 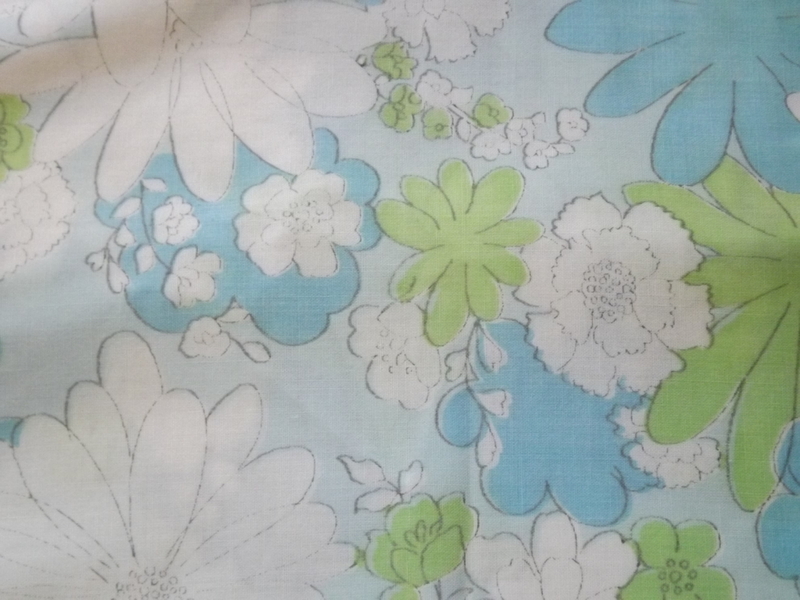 I had no pattern, no idea what I was doing, and had never sewn clothing (or much else) before. But I sewed on, and eventually came up with something I thought was wearable, and wear it I did, with an oversized white tee-shirt I cut the neck out of and battered Birkenstocks. I was completely in love with my fashionable self. 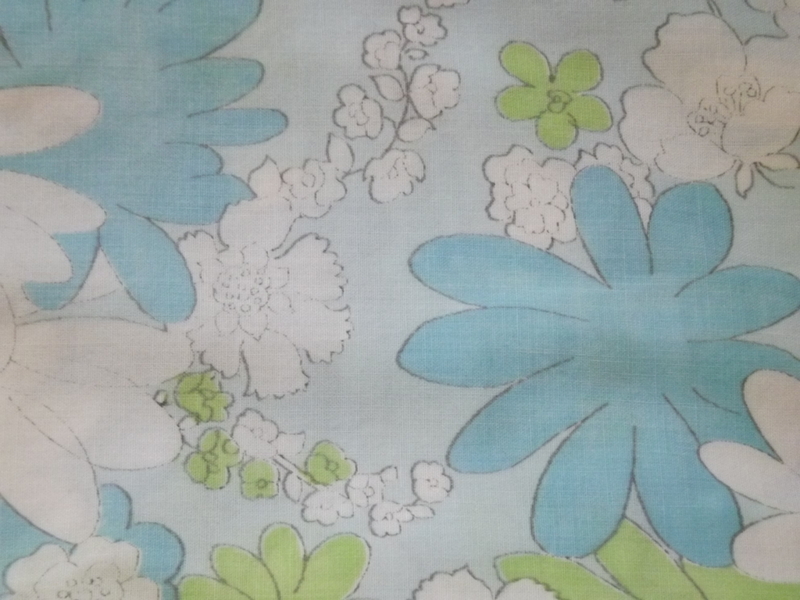 Sadly, no pictures were ever taken (to my knowledge) of the blue Flower Power skirt, and it has since been lost to time. Julia and our friend Sarah teased and laughed through the whole process, and looking back, I find it incredible that I didn’t succumb and abandon my sheet-skirt. It was, however, years before I bought another secondhand sheet, and for that I kick myself. Imagine what treasures I passed by. I’m almost struggling with putting this listing up live. There’s a little bit of me that wants to take another whack at that skirt. I love that story! I have a lot of friends who tell similar ones of their “hippie” days (and they had their vanagons too!). That time lead them to where they are in their lives today and it’s pretty cool.